Palestinian leaders want NATO to substitute IDF forces in the West Bank as part of any sustainable peace deal and a two-state solution with Israel. France is mounting up international support to hold a conference after US-led negotiations collapsed. “Now we talk about the French initiative... Its purpose must be to implement the visions of both states, based on the border agreement of 1967 and the capital of the Palestinian state being eastern Jerusalem, so that both countries can live side by side, in safety, stability and peace – if Israel wishes to seek peace,” Palestinian President Mahmoud Abbas said in a speech at a meeting of foreign ministers at the Arab League. Throughout the previous peace negotiations and to this day the Palestinian Authority insists that the West Bank must be a part of their sovereign nation, and that the presence of Israeli military control is a violation of their right to rule. While the United Nations calls the West Bank and Gaza Strip Israeli-occupied territories, Israel considers them disputed. The idea of introducing NATO forces in the Middle East country has been voiced by Abbas before during the last peace negotiations. The original idea was for the IDF to remain in the Palestinian state for a transitional period of five years after which the Israeli forces could be replaced by NATO forces along with Palestinian Arab police and security units. 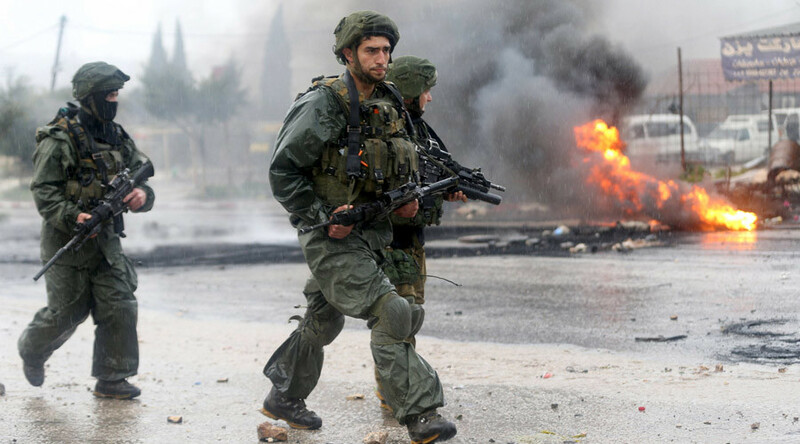 Tel Aviv argues that it keeps its IDF forces in West Bank to protect themselves from the perceived threat of “Palestinian terrorism.” To solidify their claims, in addition to military presence, Israel has been building settlements in the West Bank and East Jerusalem, and on a number of occasions refusing to negotiate the status of Jerusalem. On Saturday, Abbas presented conditions that will most likely be rejected by Israel. Besides insisting that East Jerusalem would be the capital of Palestine, Abbas also rejected the notion of recognizing Israel as a Jewish state. “We have previously recognized the state of Israel but we will not accept or recognize the terms of a Jewish state. We demand a Palestinian state on Palestinian lands and we will not allow any Israeli presence inside Palestinian territory,” President Abbas said. At the same time Abbas said that there is a slight room for negotiations on land boundaries. “When we need to demarcate these borders, we will be prepared to accept a slight exchange of territory,” he told the Arab ministers. Recognition of Israel as the Jewish state, and proclaiming the entire Jerusalem as its capital have been the main cornerstones of Israel’s position in negotiating a two-state solution with Palestine. Demilitarized Palestine with the IDF military presence in the West Bank have also been the points of the contention in the negotiations. Representatives of some 20 countries, including US, Egypt, and Saudi Arabia and Jordan, will attend the French-backed ministerial meeting on the topic next week. Israel and the Palestine will not take part in the conference. 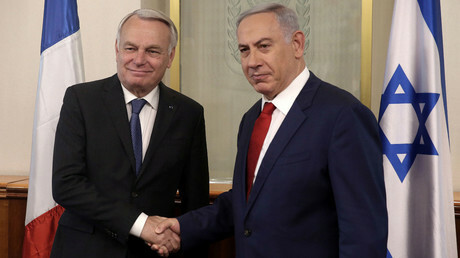 The French hope to convene a full blown international conference in the autumn, with Israelis and Palestinians in attendance.